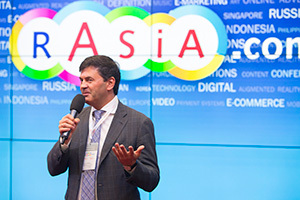 From June, 22, till June, 30, the International Business Innovation Forum and the Festival of Contemporary Asian Art united under the name of rAsia.com took place in Moscow. These annual events are becoming more and more popular among professionals interested in innovations and admirers of culture and art. IId International Innovation Forum rASiA.com was held from June, 24, till June, 25, at Digital October Center and brought together the performance of highly proficient speakers—the world‘s opinion leaders from different professional fields. This year the number of visitors of the Forum has increased by 70% compared to the last one. Live broadcast of the Forum via popular online resources like Hi-tech Mail.ru and LiveJournal only at the first week were seen by more than 100,000 people. The Forum‘s program contained a number of different formats. For the first time this year a closed TELL Forum (Technology, Edutainment, Life and Lifestyle) for chief executives and shareholders of the companies was conducted, it combined the most oustanding speeches of the experts, who in a relaxed manner shared their professional and life experience and presented the most interesting cases to the audience. The world-wide famous business leader appeared on the stage: S. Raenmaekers (Deloitte), C. Parsons (Berlin School of Creative Leadership), J. Matsuki (Syn K.K), M. Wasowicz (Ignition One), J. Wang (GlobalNomand), R. Simon (Zomba Group), J. Doncieux (Relax News/AFP), G. Yu (The Hong Kong Polytechnic University School of Design), B. Deptula (EasyPack Russia), E. Yen (Pop Music Project Office), A. Prokhorov (Studio «Pilot»), D. Itskov («Russia- 2045»), A. Kaplan (Laboratory for Neurophysiology and Neuro-Computer Interfaces), G. Medetskiy (Synergy Innovations), M. Wirth (IBM Russia / CIS), S. Lingjarde (European Tech Tour Association), D. Glick (Edge Group), G. Schwartz (Mobile Entertainment Forum), G. Topchishvili (9.8 Group) and K. Cheung (Opendoors). Simultaneously, in two different halls there were the conferences and round-table discussions for various professionals. 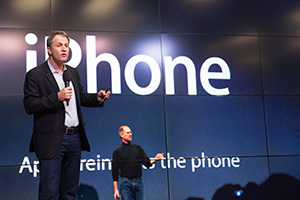 It was dedicated to innovations and trends review. The session "Content and Entertainment" happened on the first day, the experts from different countries discussed the questions of music journalism, the latest music services, concert organization, copyright protection and other challenging issues. “Brands & co-branding” session was dedicated to co-branding success and the future of brand management. 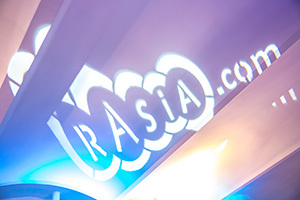 In 2014 rAsia.com will unite the innovators from all round the world again to structure the knowledge and future forecasts and bring into focus the development of the world economics. The Forum will take place from June,25, till June, 28. Don’t miss it!